There's a fourth type of chocolate: Ruby. You can read the press release by the inventor Barry Callebaut over here. 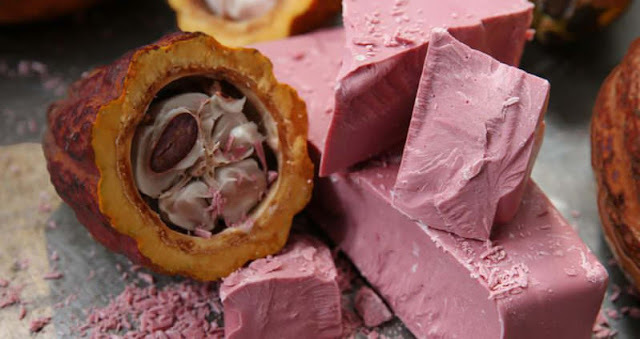 They say it's made from the Ruby cocoa bean, which is known for its intense taste and reddish colour. It seems to be a totally new taste experience. It 'satisfies a new consumer need found among millennials' (... ofcourse 😑 ...).